Native plants have become very popular over the past few years, and with good reason! Native plants are much more beneficial to the local ecology, than non-native plants. Other than being more beneficial to the local ecology, why else should you use native plants in your landscape? Water Use – Native plants do not require as much water as other non-native species. Many are even drought tolerant. Maintenance Costs – Many non-native plants are high-maintenance. Some non-native plants may require just the perfect amount of sun light, for a set number of hours a day. Native plants, on the other hand, are typically much lower in maintenance, saving money in the long run. Plant Hardiness – Since native plants are native to the local area, they are hardier than plants in other areas. They are accustomed to the region, winter, frost, heat, humidity…they are used to the area, and can thrive in it. Wildlife – When introducing non-native plant species, you may find there are less birds or butterflies around. This is because non-native plants do not bring in the bugs that birds find appetizing, and certain butterfly larvae only feast on certain native plants. Seasonal interest – While we all love the color and beauty of annuals or other non-native perennials, that color and beauty usually only lasts for a few months, typically in summer. With native plants, you get a color show year round. While there are tons of native plants we love, here are our top 3 native plants for your Michigan landscape. 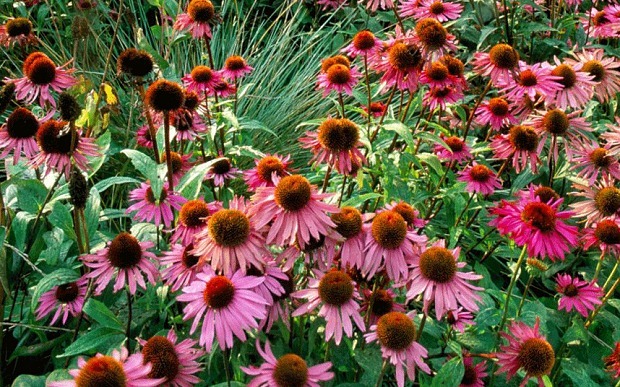 This coneflower begins blooming in a vibrant shade of pink from June and continues through October. If you want butterflies, coneflower is a must in your landscape. This lovely plant works anywhere; containers, small landscape beds, borders, edges…really anywhere! 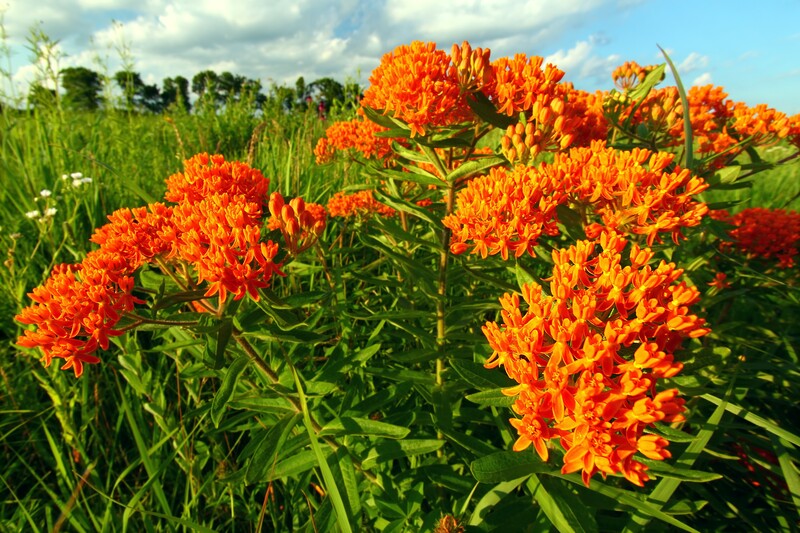 In order to get butterflies, butterfly milkweed is another must have! Butterfly milkweed blooms starting in June all the way through September. This plant is also drought tolerant and tough, it loves the sandy, gravelly, or loamy soil. 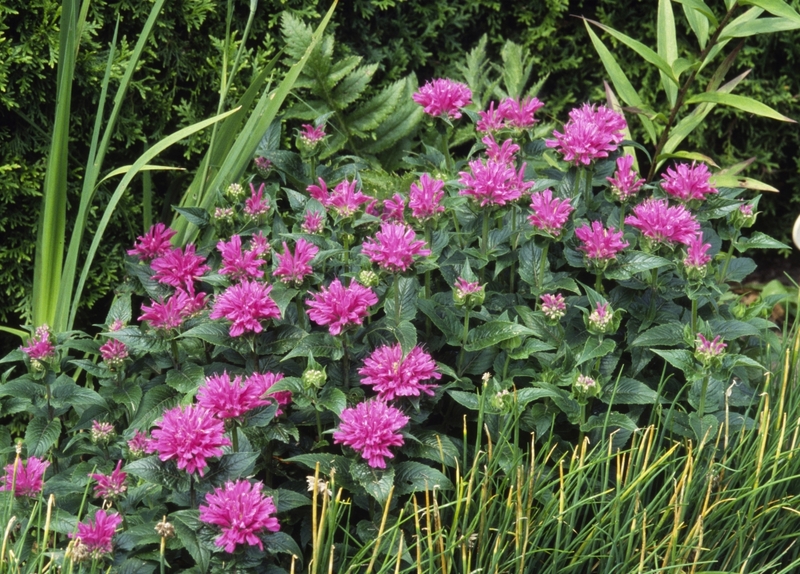 This selection of bee balm blooms July to August, and is adorned with lavender-rose colored flowers. These flowers are also fragrant, which will attract hummingbirds. Add bee balm in the front of landscape beds, and mix among other great perennials like; ajuga, hostas, and variegated feather reed grass. Want to add native plants to your landscape, or ready to embark on a new project? Contact us today!